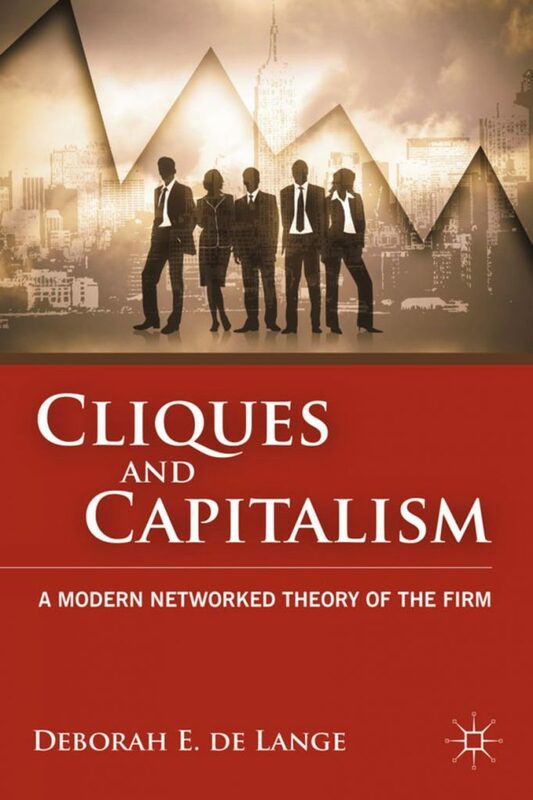 Cliques and Capitalism; A Modern Networked Theory of the Firm (2011) | Moral Markets? Cliques and Capitalism suggests a new contextually linked building block model to develop theories of the firm in the field of strategy and organizations. Using this approach, she proposes two models: one that is a realistic American version and another that is a futuristic sustainable model. Both are new networked models that integrate current theories; a review of international corporate governance supports the sustainable firm that solves problems of the current one. Through a revised theoretical lens, the book answers a provocative question surrounding modern corporate America: Who wields the power? In this investigative look at the institutional mechanisms behind who is truly running the show, Cliques and Capitalism seeks to not only explain why the current corporate system fails to function well, but also offers solutions for improved corporate governance through a new sustainable model. 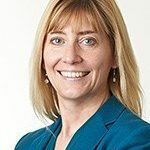 Deborah de Lange is an associate professor at the School of Business Management at Ryerson University. Her research focuses on the intersection of strategic organizational and international entrepreneurship theory in the clean tech context, e.g. distributed energy, sustainable transportation. Her work, including three books and articles in journals such as the Journal of Business Ethics, Journal of International Management, and Business & Society, makes contributions to areas such as sustainability, corporate governance, and international relations. 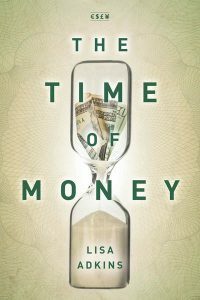 Her work has been recognized with an Academy of Management book award for Cliques and Capitalism: A Modern Networked Theory of the Firm. The chapter abstracts have been taken from SpringerLink. Introduction - The main purpose of this book is to develop a theory of the American corporate system as a contribution to strategy and organizations theory; this book is primarily intended to develop a theory of the firm that reflects the American firm as it exists in recent times and then to design an improved sustainable model for future consideration. Thus, the book begins with a review of strategy and organizations’ theories of the firm so that it is clear where we are today in theory building. I build upon this base and suggest a new approach, the building block model, and a new view of the American firm. The revised theory allows me to identify the flaws in this firm model that result in repeated crises and instability, including the recent financial crisis. This model is also an illustration of a building block approach to theory building in the field of strategy and organizations; specifically, this is a new approach to building a theory of the firm that allows for variations of it that make it fit different contexts by applying combinations of our various existing theories. Who Holds the Power? Corporate Governance in America - By reviewing press releases over the last couple of decades, I investigate who holds the power in corporate America. This is a mystery because in recent times, it is no longer a small prominent group of wealthy families who wield power (Mizruchi, 2004). Today, large American firms are owned by dispersed stockholders, but it is not clear that shareholders control firms, as will be explained. Examining events and perceived causes of the recent financial disaster of 2007–2010 may provide some indication since those who are associated with the problems presumably have had influence over them and, therefore, power over the financial system that supports corporate America. 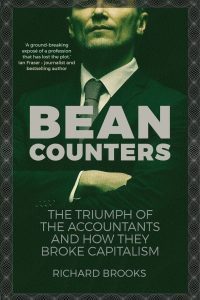 A Review of Theories for the Modern Firm - The area of strategic management has been attempting to invent a fully explanatory “theory of the firm” or one that is superior to others such that it is applied most often. A couple of theories, lately, do seem to hold favor a majority of the time, while others have not remained popular, but they are still recognized and resurface now and then. I hope to explain why many of these theories are helpful and at the same time, that we have reached a point in theory development where we need to make a step forward; we need to develop beyond, what has really become a roadblock, this belief that it is constructive to attempt to make a clear choice. A Network Governance Model of the Firm - In this chapter, I will explain what a building block model of the firm is and introduce the model of the American firm today. The following chapters 4–6 describe in greater detail each part of the firm model. The Working Firm - This chapter describes the “Working Firm.” The Working Firm, composed of lower and middle-level managers and their employees, must function in a substantive sense. The firm cannot exist unless it serves some real purpose, and it is these human resources that make that happen. The ways in which these people are connected with each other as coworkers is governed by network and embeddedness theory, because informal understandings predominate. However, they are organized around some formal functional basis that is built on standard myths—a department structure that we see mimicked in most firms. Thus, the informal aspect of organizations prevails in terms of how firm actors actually work together, but it is based on a formal legitimized structure and institutional theory is helpful for understanding these aspects. Overlaying this, in more recent times, is professionalization. This additional layer is explained by institutional theory forces. I will describe each of these layers in turn. The Legitimizing Firm - This chapter explains the relationships within this part of the firm, the loose connection it has with the Working Firm, the influence the financial bureaucracy wields over firms and the resulting disconnection with shareholders, and the function that this part of the modern American firm actually serves. The box includes the board of directors, the CEO, and top executives and it is noted that people in these positions are often not employees who worked their way up and instead, are hired from elite friendship networks. The CEO and some of the executives are also often on the board of directors and they are considered “inside” board members whereas others on the board are “outside” board members, and it is sometimes considered that they may bring an objective view since they are not part of management. However, they are all part of the same friendship networks and thus, they are highly embedded, even overembedded, with each other, and embeddedness theory is useful for this component of the firm. These friendships make it very difficult for them to have any substantial disagreements with each other. Research and news reports are supportive of this and some examples follow. The Stock Market Bureaucracy - As mentioned, the stock market is not as free as some imagine it to be (Adam Smith, 1776). In order to operate, it requires a significant bureaucracy composed of market systems—a trading floor and/or complicated computer trading systems, stock brokers, analysts, investment bankers, and regulative overseers such as the SEC (Security and Exchange Commission). This is a massive support system that every stock exchange requires to support shareholders’ buying and selling of parts of firms in the form of shares. First, this chapter will describe the roles that shareholders and most of the major players in the financial bureaucracy play including investment bankers, stock brokers and mutual fund managers, analysts and the press, banks, credit rating agencies, and insurance companies. Then, the chapter will summarize with a description and analysis of the financial bureaucracy and shareholders’ relationships to the large American corporation. Power of the Middlemen - In this part of the book I will apply the model of the firm, described in previous chapters, to particular aspects related to the recent financial crisis. Chapter 7 will address a crucial factor and that is the power of the middlemen who were identified earlier as the financial bureaucracy that sits between the shareholders and management. They use their expert power and connections to keep unsure, dispersed shareholders and upper management informed as they would like them to be. They create “innovations” to confuse and complicate markets so as to assert their usefulness as experts. Regulators cannot keep up with them or completely comprehend them either so, the innovations are useful for keeping the regulators at bay. Moreover, through connections and lobbying, they corrupt regulatory systems; they can do this because of their clout. Cliques of Legitimizing Leaders - This chapter will discuss the second most critical aspect of the American firm model presented earlier that contributed to the financial crisis; the linchpin was described in the last chapter, being the financial or stock market bureaucracy. Second, cliques of legitimizing leaders, the senior management teams together with boards of directors that “lead” firms are culpable in the recent disaster and the demise of large firms, in general, more for what they do not do rather than for what they do. Leadership has been extremely weak. 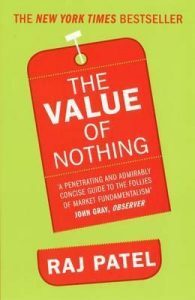 Democratization as an Institutionalized Myth - This chapter explains why the stock market and its bureaucracy, as it is designed and as it works, does not bring about democratization of markets, and how this problem is connected to the financial crisis. First, I will describe previous views that suggest that there has been “democratization” of markets. The fact that this discussion exists is a reason to address this myth. It is important to strike it down or else it will be very hard to change the systems we have in place, necessary for improving arrangements that affect our economy by generating financial crises. I will identify some of the characteristics of a democracy and show that the stock market does not characterize it. A Superior Model - Sustainability - In answer to some of the problems we are experiencing in American society, as described, this chapter explains the principles of sustainability and describes a possible solution as a model of a sustainable firm. I will compare and contrast the earlier model of the American firm with this more desirable model. Although many potential sustainable future scenarios likely exist for the future of firms, I offer a possibility here, once again illustrating the building block model. I hope that others will either improve and build on mine or arrive at something much better. Examples of International Corporate Governance - This chapter examines models of corporate governance around the world because many are quite different from the American approach. We may either learn from the other models or we may decide that they need to change. However, any scheme will have its positive and negative aspects; moreover, the approaches may match particular environments so that it is difficult to judge what is really good and bad when considered without contexts that have likely reciprocally shaped the models. However, the recent financial crisis originated in the American context and this suggests that something needs to change; the American model was damaging in its own context. Comparisons with other nations’ approaches may be instructive; however, we may require a complete overhaul unlike any system in existence. The sustainable model in the previous chapter is a new approach and some nations’ models, although they do not duplicate it exactly, include some characteristics of it; thus, we can see in practice how these aspects may work without beginning from a blank slate. It is also encouraging when there is evidence that an early proposal may have some promise—promise to build on and implement experimentally at first and then on a larger scale. Future Scenarios: Redistribution of Power in America - This chapter will discuss possible scenarios for the future of corporate governance and the related power in America with a view to making a contribution to theory in a prescient way. After explaining what I mean by a prescience approach to theorizing, I will discuss two future scenarios, either maintaining the current shareholder focus and design of the firm or adopting a sustainable model of the firm, as outlined in the earlier chapter. Implications and Future Research for Management Scholars - The general approach to theory building suggested for the field of strategy and organizations is a building block model, whereby the usefulness of a multitude of theories is found for explaining organizations in different contexts. Thus, it is not suggested that we eliminate or choose organizational theories based on popularity; instead, we should value and utilize the diversity in different conceptions of firms and organizations. Using more theories helps to fill gaps that a chosen dominant theory leaves open, rather than attempting to extend that theory until it really has no clear paradigm. Rather than watering it down, recognize it for the strengths it offers; leave other theories to demonstrate their complementary strengths rather than viewing them as competition against a favored paradigm. The latter approach does not serve us well if our goal is to search for the truth, from a maintenance point of view, and think ahead, from a view of prescience in theory building; remember that the “truth” in society and the social sciences is often socially constructed. Theories that may not seem useful in a particular context today may be useful in a future context. Implications for Policy and Practice - This chapter summarizes practical lessons learned from the American model of the firm and reiterates that the sustainable model of corporate governance should be advanced in American government policy and why. Policy is suggested in a broad sense; the details are left for the politicians of the day because that is their expertise in their particular contexts. Cultural change is required prior to and alongside policy change and therefore, the approach to policy change is highly strategic. Choosing to redesign systems rather than adding regulation and eliminating hierarchy and large monetary rewards so as to increase egalitarianism represent challenging cultural shifts in a highly polarized liberal democracy having a learned disposition to be suspicious of social democratic principles.